A research team led by Susan Enguidanos at the University of Southern California Leonard Davis School of Gerontology aims to improve quality of life for seriously ill patients and their caregivers with a $5 million funding award approved by the Patient-Centered Outcomes Research Institute (PCORI) to compare the effectiveness of two types of palliative care, primary care clinic-based versus home-based care. People who receive palliative care, medical care focused on providing relief from the symptoms and stress of a serious illness, may live longer and have a better quality of life than people with similar illnesses who don’t receive such care, according to an Institute of Medicine Report. However, most palliative care programs are hospital-based. 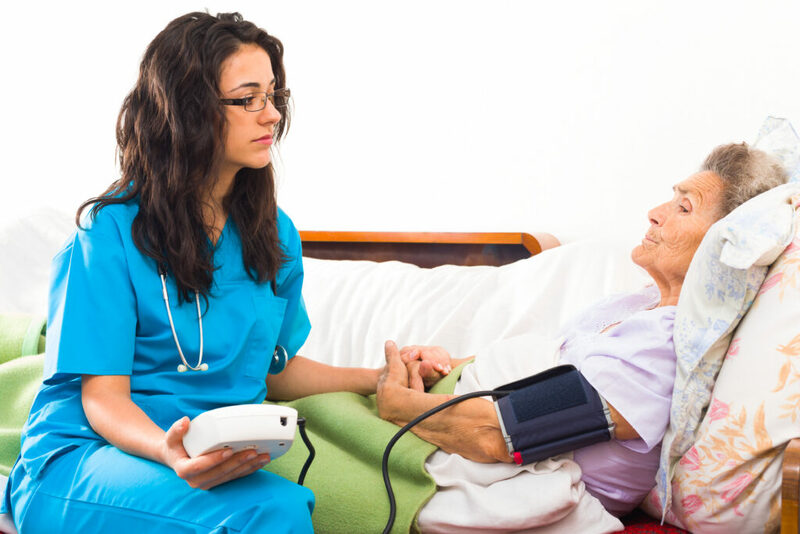 Few offer care in the community despite findings that most Americans spend the vast majority of their last years of life living at home and that such care can prevent unnecessary hospitalizations and emergency department visits. “This study represents a promising opportunity to extend care that seriously ill patients and their caregivers both need and want to a setting they prefer,” said Enguidanos, a palliative care expert and a professor at the USC Davis School. Enguidanos, who holds a joint appointment with the USC Schaeffer Center for Health Policy and Economics, notes that recent health care policies, including payment reforms that support care quality over quantity, have created powerful new incentives for insurers and providers to expand access to community-based palliative care, including in-home care programs – a cause for celebration and caution. To that end, she has partnered with Blue Shield of California for this study, which will be conducted in several primary care clinics of their contracted medical groups. The staff of these clinics, along with partnering home-based palliative care agencies, will provide all palliative care services paid for by Blue Shield. Enguidanos says that having a payer at table ensures best practices are sustainable at the end of the study period. Researchers from the Keck School of Medicine of USC, the University of California San Francisco and the USC Davis School are additional co-investigators in what is believed to be the first ever study to compare two models of palliative care head to head. The study will compare outcomes from two groups: patients who receive care from primary care providers who have been trained in palliative care, and patients who receive home-based palliative (HBPC) care provided by a primary care team. About 1,155 seriously ill patients with cancer, heart failure, and chronic obstructive pulmonary disease, along with 884 of their caregivers, will be randomly assigned to either group, making this one of the largest trials of palliative care to date. The HBPC model will be integrated into primary care clinics. HBPC team members—a physician, nurse, social worker, and chaplain—will provide pain and symptom management, psychosocial and spiritual support, disease management education, and other services in response to patient and caregiver needs. Services are delivered at the patient’s home. The model also features a 24/7 call center. Researchers will determine whether HBPC, compared to palliative-care trained primary care physicians, results in greater reduction in patients’ pain, symptoms, depression, and anxiety, while improving hope and increasing survival. They will also determine which approach is more effective in reducing emergency department visits and hospital stays, which are often associated with preventable medical crises and increased anxiety and stress among patients and caregivers. In addition, they will study whether HBPC, compared to primary care physician training, results in greater improvement in caregiver depression, anxiety, and burden while improving caregivers’ experience during the patient’s last days of life. PCORI is an independent, nonprofit organization authorized by Congress in 2010. Its mission is to fund research that will provide patients, their caregivers, and clinicians with the evidence-based information needed to make better-informed healthcare decisions. Susan Enguidanos’ award has been approved pending completion of a business and programmatic review by PCORI staff and issuance of a formal award contract. For more information, visit www.pcori.org.